Some people like to call us geniuses. We like to call ourselves experts. 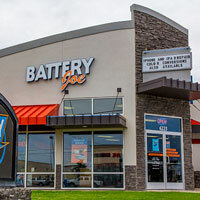 Specializing in all things battery, Battery Joe has three locations in Lubbock that are dedicated to bringing customers not only the best batteries in West Texas, but also the best service. We pride ourselves in providing the best service in car batteries, iPhone repair, phone repair, cell phone batteries, power sport batteries, and more! We are known for our high-quality Evermax automotive batteries. Maybe that’s because they are backed by a full replacement warranty. That means if your battery goes bad while under warranty, we will replace it free of charge! Like what you hear? 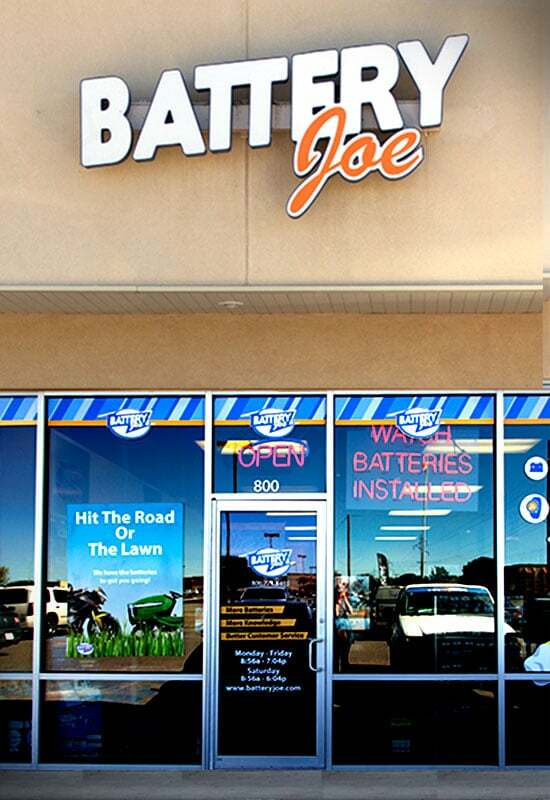 Join our Battery Joe loyalty program and you can get free jumpstarts for life on any car battery within the Lubbock city limits! The boys at Battery Joe realize how difficult life can be without your phone, especially when you have a smart phone keeping track of your calendar appointments and to-do lists. Trust Battery Joe to get you back up and running on your iPhone in no time. Whether it’s a bad battery or shattered glass, we’ve got you covered with our expert iPhone repair. Not an iPhone user? That’s okay! We’ve got all the necessary parts to fix any cell phone from the most basic flip-phone to the Android and Samsung smart phones. If there is a physical problem with the device, bring it in any of our three Lubbock locations, and we can fix it in under 24 hours. After a few years, our cell phone batteries just don’t work like they used to. Our generation puts more wear and tear on our phones than ever before, so it’s not hard to see why they just can’t keep up. If your cell phone or iPhone isn’t charging fully, or you are having to charge it too often just to keep it alive, it might be time for a new battery. But no worries, Battery Joe knows cell phone batteries. Hobbies not only keep us active – they keep us alive. But what keeps our hobbies alive? The batteries that power them. 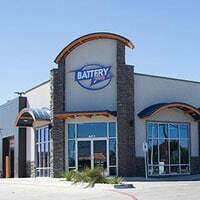 That’s why Battery Joe in Lubbock has the latest technology in power sport batteries and the properly trained experts to install those batteries. 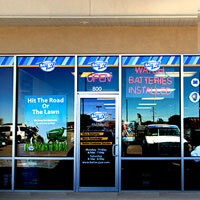 Whether it’s a golf cart, motorcycle, ATV or even an RV, Battery Joe has what you are looking for.